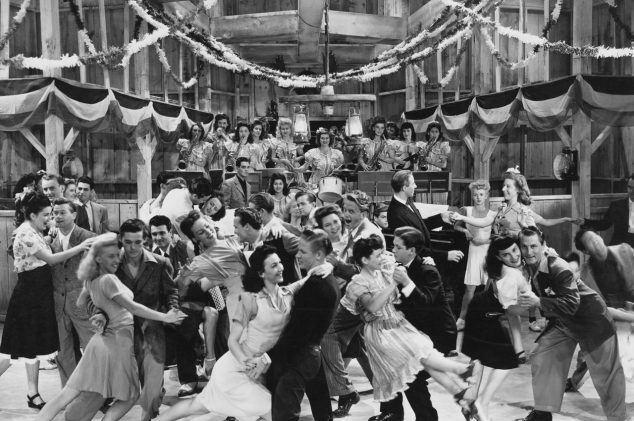 You’re looking for the right big band hire and you’ve ordered your authentic 1940s period costume. All that’s left is the buffet. Rationing meant people could only buy a very limited amount of food each week during World War II. Even the Royal family used their ration cards. Meat, milk, eggs, materials, and many other household staples were strictly rationed, and the government even encouraged people to grow their own vegetables on public land. If you want to recreate an authentic 1940s party, here’s what people would have been eating. A less coarse, less refined scone. Rock buns use sultanas, mixed spice, flour and baking powder. They’re still popular because the recipe’s so simple, and the modern method includes many of the same 1940s ingredients. If you have some extra ration cards, sprinkle sugar on top or eat with jam. Named after the former head of the Ministry of Food, the very first recipe was printed in the Times in April 1941, described as “economic” and “wholesome fare”. Whilst meat was scarce and vegetables weren’t subject to rationing, people would fill their Lord Woolton pie with swede, carrot, cauliflower and potatoes. If you want your party and big band hire to be super-authentic, this historical recipe is an essential addition to the menu. Every cuisine has some kind of fried potato, and this is ours. Roughly grate some potato, season it, sprinkle in some flour so it all binds together, and then spoon dollops into a hot frying pan until golden brown. For a 21st century spin, add some parmesan into the mix or use them as blinis. From 1940, sugar was restricted to 8oz a week. Instead, people would use carrot to sweeten cakes, scones and biscuits. With the help of some flour, margarine, and sultanas, you have an authentic wartime carrot cake. Carrot cake is now an afternoon tea essential, and we have rationing to thank. Combine desiccated coconut, milk, sugar, and cornflour, and you’ve got a simple but satisfying wartime dessert. If you’re a fan of fancy presentation, a few drops of pink food colouring make this dessert a bit more appealing, even though it’s not entirely rationing-appropriate. Pour it into individual moulds and set in the fridge before serving. A Land Girls’ favourite, Homity Pie is a cheesy pie containing potatoes, leeks, and whatever else was around. More modern equivalents include cream, spinach, and parsley. It’s still just as satisfying as it was in the 1940s, and just as good for using up leftovers. 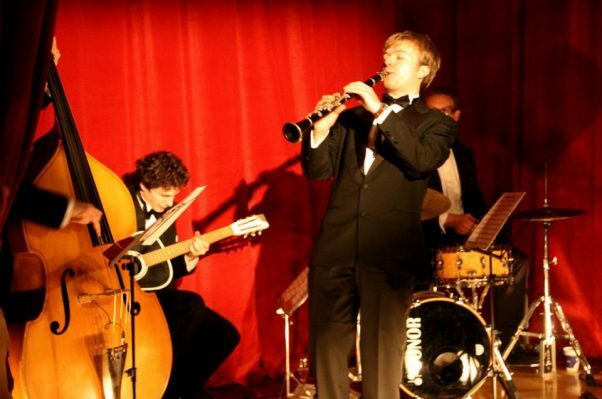 Silk Street Swing are an authentic 1940s-style big band for hire for parties. 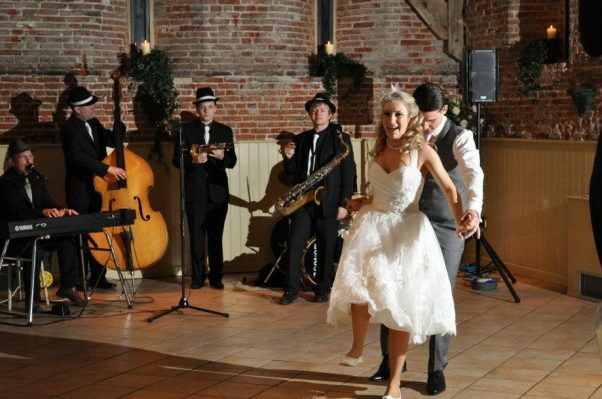 They can play a huge list of swing and jazz classics, which are perfect for dancing and setting the mood of your wartime themed party. They look the part, so just send us a quick message using the form below and see how we can help your guests step back in time.